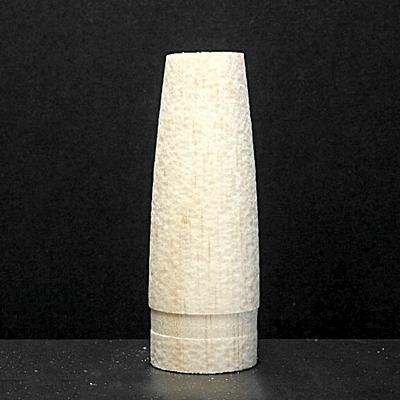 T - 60 Wood Tail Cone "V2"
Model Rocket Tail Cone made from Balsa that fits T-60 size Body Tube. Has a hole bored through the center that fits a T-50 (24mm) size Tube. This is the same tail cone that comes in our 24mm V2 kit. *As wood is a natural product the weight may vary somewhat from piece to piece.